Everyone who dreams of southern California beaches, stop in huge cities like Los Angeles. However, for those who want to see the best of beaches, the city of San Diego is much better. San Diego is situated on the southern border of the state on the Pacific coast near Mexico. The city is the second largest city in California by population. It is also one of the top ten largest cities in the US, #9. The population of San Diego is about one and a half million people. The total area occupied by the city is about 12,000 sq kilometers. The land area of the city is 83% and it is almost 11,000 sq kilometers. The rest is the water surface. San Diego is one of the most densely populated counties in California and is one of the five most populous counties in the United States. More than 10% are representatives of other races. Subtropical climate makes the city of San Diego special and unique. The beautiful weather of the city makes this city amazing for vacation and for living. The summer is dry, warm and not too hot, the winter is mild. It is rarely raining in the period from November to April. The temperature remains above 21 degrees C for more than two hundred days a year. The relatively warm waters of the ocean, the nice beaches, the high level of service, the hospitality of the people and many more attract more than 30 million tourists and visitors, which in turn leave more than $ 10 billion to the San Diego treasury. In principle, the city is called the territory of beaches and parks and this is not far from the truth. The beaches occupy most of the coastal line, which stretches for 70 miles. By now, there are just under 200 parks and slightly less than 30 beaches. A mild subtropical climate that suits people with cardiovascular and pulmonary diseases, low humidity, the total absence of tropical insects attract people to this city. Do sports, lead a healthy lifestyle and feel like you are on vacation. Beginning of the twentieth century, San Diego had the military ports, which was based at that time, a large number of ships. On the coast, a military structure was naturally formed, which in turn affected the development of the country's defense potential. The time has passed, the geopolitical situation has changed, which led to the curtailment of some military programs and the diversification of the economy. These days the basis of the economy of San Diego are tourism, biotechnology and are still a part of military production, software development, shipbuilding, power generation, telecommunications equipment manufacturing, agricultural production, financial and other business services. It is very pleasant to realize that the mere fact of the existence of property rights can in a surprising way affect the quality and standard of living of a person. Buying real estate, you become the owner of a certain privilege won by our ancestors, the opportunity to buy and sell land and real estate, take advantage of the developed system which, on the basis of documents having the force of law, confirms, protects the rights of any person for the opportunity to acquire, build, accumulate and multiply wealth or, its equivalent. It inspires and strengthens human rights and freedoms in all aspects of life in the United States. Purchase of real estate in the city of San Diego is the key to a successful future for you and your family, children and loved ones. Population here increases approximately two percent every year. It is possible that population growth contributes to a small trend of displacement from living in their own home to living in apartments. California Department of State informs about the completion of construction of 4,600 residential properties in the district, which is significantly higher than in the previous few years. It is not necessary to buy a house immediately, you can start buying a condo or townhouse you can afford. In the "Golden State" of the United States you can pick up anything you want in any city and in any district. 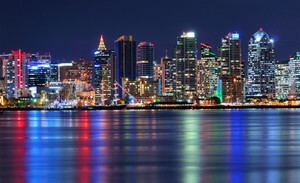 The average cost of a single-family home in San Diego is about 600 thousand dollars, for condos - 200 thousand dollars. Residential property in San Diego is much higher than in small US cities. You can also learn more about buying real estate in California on our website. Call us if you have any questions. We will send you homes which are on the market at the moment! We work 7 days a week! Looking forward helping you, your family and friends!